Choreography is the art of making dances, be that classical variations, modern pieces or contemporary performances. Choreography is more than just combining movements, it expresses ideas and stories in performance, using dance. To make a truly great choreography, there’s got to be something more behind it than just fancy moves – there’s got to be substance, emotions, story and many more. We present you young female choreographers who have followed their passion for dance and have made a mark in India. Shakti Mohan born on October 12, 1985 is originally from Delhi but has lived in​ ​Mumbai since 2006. She studied at Birla Balika Vidyapeeth, a boarding school, and she topped in Mumbai University for MA in Political Science from St. Xavier’s College. She was planning to become an IAS officer before her appearance on Dance India Dance show on Zee TV.​ ​She is also graduated with a diploma in dance from Terence Lewis Dance Foundation Scholarship Trust in 2009. Shakti Mohan is a ​well known ​contemporary dancer​ ​& choreographer​.She was the winner of Zee TV’s dance reality show​ Dance India Dance season 2​​ .Shakti also won a cash prize of Rs. 5 million from​​ ​Zee TV and a Suzuki Wagon R. ​Shakti also got famous by co-assisting Vaibhai Merchant for groovy moves in Kamli song from Dhoom 3. She has also been part of high TRP rated television shows like Boogie Woogie, Jhalak Dikhlaja & top bollywood movies like Rawdy Rathore, Dhoom 3, Kanchi and many more. Shakti has performed for various awards and shows in India and other parts of world like USA, Dubai, Malaysia, Mauritius, Macau to name a few. Shakti has also been the face of Vaseline healthy white body lotion for the year 2011-12. 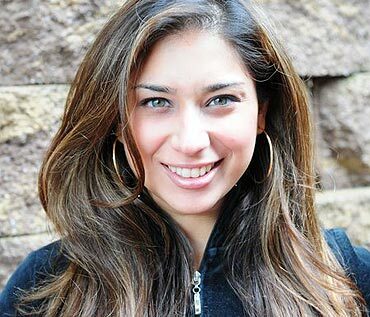 Rujuta Vaidya ​has graduated in Psychology from Boston University. After her studies she came back to India and studied under bollywood’s legendary choreographer Saroj Khan. Rujuta Vaidya has worked in the Bollywood industry for the past 10 years as a professional dance choreographer and has recently made her move to mainstream Hollywood. Rujuta​ is a globally-recognized ​bollywood​ ​style choreographer who has been responsible for some of the biggest Bollywood musical extravaganzas in the entertainment industry​. Rujuta is the first Indian from the US to ever choreograph for an Indian tour.​ ​She has released a Hip Hop – Bollywood dance workout video called BYou2 that has her collaborating with Sabrina Bryan of the Cheetah Girls on a dance instructional video for young girls that blends both styles from the east and the west.​Rujuta’s diverse list of credits include​s choreographing some of biggest hollywood icons such as Britney Spears, The Black eyed peas, John legend & AR Rahman for the Oscars 2009 for Slumdog Millionaire. She has also worked as choreographer for the film English Vinglish starring Sridevi, Priyanka Chopra’s NFL Promo In my City, AR Rahmans 2010 world tour, Disney’s the cheetah girls -3, One World etc. Sneha Kapoor is an Indian salsa dancer, choreographer, and instructor. 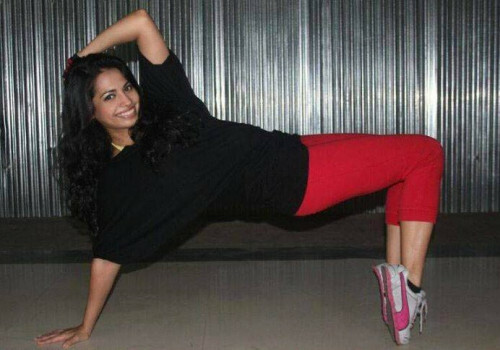 She is popularly known as “The Indian Salsa Princess”.​ Living in Mumbai, she began her career in dance with Lourd Vijay’s Dance Studio in Bangalore, six years ago. It was the beginning of a meteoric career that embraced different dance forms like Salsa, Bachata, Merengue, Jive, Hip-Hop, Adagio and Bollywood. Sneha Kapoor was a talented athlete growing up but dancing happened by chance.​ ​LVDS (Lourd Vijay’s Dance Studio​) spotted her star quality in 2006 and planted the idea in her head that she could be a professional dancer of caliber. Gayathri Raguram is an Indian film actress and choreographer who works in south indian language films. Daughter of noted dancer, Raguram, she began acting in the 2002 film Charlie Chaplin and later started working as choreographers in films​.​ After she failed to make her identity in the film industry as an actress Gayathri quit the film industry and started to live in the United States in 2003. Gayathri Raguram returned to the India as a choreographer in 2008 and started her work and worked in many of the film in the Tamil film industry as a choreographer. The actress worked as a choreographer in films up to 100 in the industry. Gayathri has choreographed for more than 35 songs in less than three years. She has many hits to her credit like Excuse me Mr Kandasamay from Kandasamy, Pookul Pookum from Madarasapattinam, O Maha Zeeya from Tamil Padam and recently Venpaniyae. Vaibhavi Merchant has dedicated her life to choreographing as well. She started as an actor but as destiny has its way, she returned to her passion for dance and started choreographing. She is one of the most successful choreographers in bollywood. With her exuberant dance moves she proves that she is indeed the top choreographer in Bollywood. Her first solo work was for Hum Dil De Chuke Sanam. Winning a National Award for her work, she took a short break only to return again with a bang. Her next dance choreography was for the famous patriotic film, Lagaan, on the song O Re Chhori, which was nominated for Oscar. Continuing on her journey, she gained utmost respect and appreciation for her work in films such as Devdas, Baghban, Dhoom, Rab Ne Bana Di Jodi, Veer Zaara, Aaja Nachle, Jab Tak Hai Jaan and many more, while working with countless famous names from the industry; Merchant has spanned out of just Bollywood as well and spread her name worldwide while working on an Australian musical, The Merchants of Bollywood, reciting her family’s story. She appeared on television to judge reality shows such as Nach Baliye 3, Jhalak Dikhla Jaa 3, Zara Nach Ke Dikha 2 and Just Dance. Disclaimer: I may have skipped some famous choreographers. This does not mean that they are less acclaimed or less worthy. The above list is based on personal preference and not be judged on factual basis.